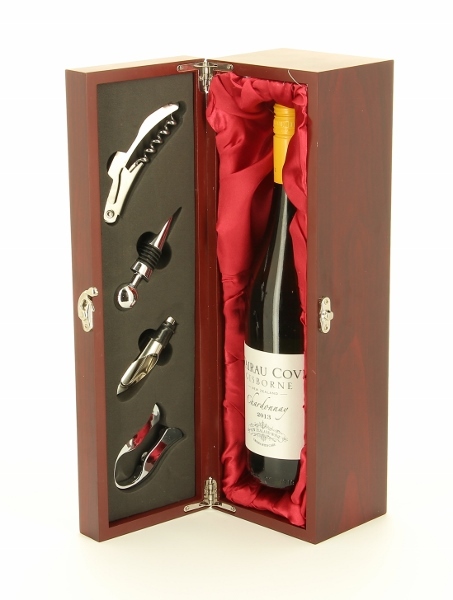 Engraved Rosewood Finish Wine Champagne Box Set. This beautiful red satin lined box measures 14.25 x 4.5 x 4.75 inch and includes the four accessories. Personalised with an engraved plate on the top of your box with your required text. Please note the wine is not included.